Lez Graham is a Fellow of the Canine and Feline Behaviour Association. She runs 'Trained For Life' and works full time as a dog behaviour practitioner, working with clients on a one to one basis in their homes in and around South Lanarkshire. Lez' focus is to show people how, through changing their own behaviour and attitude towards their dog, the dogs behaviour and attitude towards them will change. This then starts the process of training a well-mannered, obedient and respectful dog… whether this is in the home, on a walk or wherever you and your dog find yourselves. By expecting your dog to be well behaved and then enforcing it positively and in a way your dog understands, you end up with a dog that is looking to you for guidance and leadership. Lez has achieved an MA with Distinction in Professional Practice (Canine Behaviour & Psychology), and is a master trainer with the Guild of Dog Trainers (GoDT) and is an established author. She is currently writing her fourth book; her first books, The Pet Gundog Puppy, The Pet Gundog and The Advanced Pet Gundog, all with DVDs, have been hailed as 'mini classics' by Shooting Times. She is a qualified Adult and Further Education teacher and was an international trainer in Kinesiology which is where her background lies. She was the first person to write a Kinesiology for Animals course and taught anatomy and physiology and manipulative therapies for dogs and horses. One of her most exhilarating learning experiences was having the privilege of working 'hands on' as a Kinesiologist with an adult, alpha male, European wolf and spending time with a small pack of juvenile wolves. Lez tutored for the Cambridge Institute of Dog Behaviour & Training between 2009 and 2015, teaching amongst other things Basic Dog Handling and Training Skills and Professional Instructor Skills and Management. In 2009 she was asked by the Pet Education, Training & Behaviour Council (PETbc) to write the Defining Roles for Dog Behaviour & Training Professionals document which has become the definitive guide for the profession. In 2010 Lez co-founded The Pet and Working Gundog Organisation (PAWGO) which was set up to encourage gundog owners of all ilk to spend time training and honing their gundog's abilities. Lez is an executive and specialist dog handler with the Dog Safety Education Executive (DogSEE) which she co-founded in 2011 and whose specialist workshops are tailored to professionals who encounter dogs as a part of their working day. Lez has trained and competed her dogs in obedience in the UK and New Zealand and in gundog trials in NZ and has worked in the complementary health care arena as a kinesiologist with different animals, but mainly dogs. As well as gundog work and competition obedience, Lez has trained her own dogs for agility and Search and Rescue. 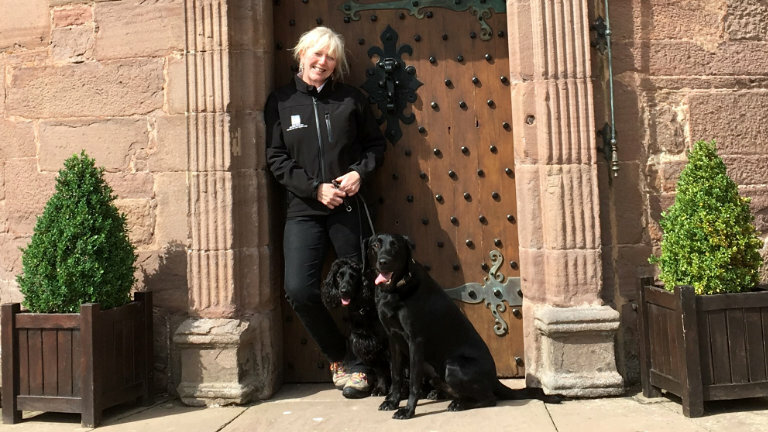 As well as her books, Lez was also a feature writer for Dogs Monthly magazine, Marlborough Town & Country magazine and Our Dogs Annual; she is very proud to be the first lady gundog trainer to write a regular training section for a national shooting magazine, The Sporting Gun. Lez is an expert witness accredited by the CFBA and is able to provide expert witness testimony on your dog’s character by temperament testing in its current environment, providing a detailed report as commissioned by solicitors and agencies such as Social Services for use in a court of law.